Mansmith and Fielders, Inc., the leading training and consultancy firm for marketing and sales, strategy and innovation courses in Asia, once again honored young achievers who exemplify excellence in marketing and entrepreneurship during the 7th Young Market Masters Awards (YMMA) 2012 held recently in Makati City. For the past 6 years, Mansmith and Fielders, Inc. have honored dozens of individuals 35 years old and below for their exemplary achievements in the field of marketing through the YMMA. This year is no different as Mansmith and Fielders, Inc. marches on with its advocacy to encourage and inspire young individuals of today to be innovative entrepreneurs and outstanding brand builders. According to Chiqui Escareal-Go, President and Chief Service Strategist of Mansmith and Fielders, Inc., this year’s awardees were chosen based on specific cases and results of activities, projects and efforts they personally directed during the last 2 years under the award category they were nominated. “Out of the 60 nominations we received, seven were selected because they were able to showcase their talents and competencies in creating value, which boosted their managed brands and leveraged industry’s standards,” shares Escareal-Go. Kristine Joanne Tang, Regional Brand Manager of Procter & Gamble, Neil Trinidad, Senior Global Brand Manager of Pond’s-Unilever Asia Private Limited and Jonathan Allen Yabut, Senior Product Manager, Urology Division of GlaxoSmithKline Philippines, all lived up to expectations as they were declared winners under the Brand Management category. Meanwhile, Ilustre Estrada II, Country Marketing Manager of Procter & Gamble, and Christian Lim, Internet Solutions Category Head of Philippine Long Distance Telephone Company (PLDT), shared the honors under the Marketing Management category. Estrada created various channels and touchpoints to reach consumers instead of following a competitive price cut for their brands “Pampers” and “Whisper.” In addition, he infused investment programs for P&G Philippines’ non-core brands that resulted to 20-30 percent growth. Lim’s strategy and innovation techniques for all Internet Solutions of PLDT for the small-and-medium-enterprise (SME) market, on the other hand, recorded a revenue increase of P1.44 billion from 2008 to 2011 for PLDT’s myDSL Biz portfolio. Lastly, Julie Lee, Senior Brand Marketing Manager of Collins International Trading Corp., and Giovanni Bogasan, Business Development Manager of GQWEST Inc./Aquabest, were chosen under the Business Development category. Lee worked an awareness campaign that OMRON Healthcare’s digital blood pressure monitor is one of the best alternatives compared to mercury-based devices. Bogasan, on the other hand, developed a 3-in-1 franchise concept called Combostore, a combination of structured water station, laundromat franchise and oxygenated alkaline water brand. Escareal-Go cites more important values to being a YMMA winner, which include earning the respect of peers in the marketing industry. “Through the accomplishments of our awardees, we expect more nominations for the 2013 search, which is now open, to find out our 8th batch of YMMA awardees,” continues Escareal-Go. The nominees are thoroughly back-checked by research giant TNS with Kantar Worldpanel and are screened by judges who are distinguished in their respective industries which include, Emily Abrera, Chairman of Children’s Hour and Cultural Center of the Philippines, Tennyson Chen, Chief Executive Officer of Bounty Fresh Group and Perry Morgar, President and Managing Director of Tupperware Brands Philippines, Inc. The YMMA advocacy project is officially endorsed and supported by the Philippine Franchise Association (PFA), and the Philippine Retailers Association (PRA); with Businessworld and Philippine Daily Inquirer as print media partners, Microdata as AV partner and Abenson as platinum sponsor. I am a fan of the TV series "How'd They Do That." The show is about features on how things that we see almost every day were created or processed. From appliances ovens to talking toys to microchips, they have shown how they were made from scratch. Here's an interesting post that I hope you'll find interesting. It's about our favorite companion every night. Nah! I'm not talking about your spouses. I'm actually referring to our beloved beds and the glorious foams they are made of. Foam-making in the past may have been a tedious, manual labor-intensive job but the process was made even better, thanks to modern technology. By using state-of-the-art equipment, Multiflex RNC Philippines of the RGC Foam Group, makers of the popular Uratex foam, totally revolutionized foam-making not only in the Philippines but also in South East Asia. The Research & Development laboratory – Just like cooking, a good foam starts with the perfect recipe, and in foam-making, the R&D facility of the RGC Foam Group, one of the country’s most advanced, is where it all starts. There, Uratex laboratory personnel develop formulations that result to certain types of foam and also conduct tests to ensure that the formulation will meet final product specifications that customers look for. Over the years, this department has developed thousands of formulations that benefited the Philippine industrial history, from the car development program of the 1970s to the footwear, garments and electronics boom in the 1980s and 1990s. Foaming – Once the formulation is finalized, it is entered into the foaming machine’s computer system. There, up to 26 streams of different chemicals are doused using computer-controlled metering pumps for precision. The liquid will turn into cream within seconds and then into solid state within 1.5-2 minutes, and where the solid foam block may be cut between 1 to 60 meters in length. At the Muntinlupa plant, the foam is cut in 30-meter lengths. This high-tech machinery is complimented by a quality management system and ran by highly-trained personnel. Curing area – The 30-meter long blocks are then picked up by an overhead crane and transferred to the curing area. Foam is produced via an exothermic reaction where the center may reach up to 145-165 degrees Celsius within 20-30 minutes. It will not start to cool for another 3-4 hours but will reach room temperature within 24 hours and is “cured”. Foam block warehouse – This is the storage area for the foam blocks. From there, the plant’s production department will request for a specific type of block with different sizes as per orders coming from customers. These blocks are then moved to the production area where they will be cut according to the desired sizes. Production area – It is from this area where the Uratex products that we all see come from. The foam blocks are cut into the requested size and then “contoured” based on the type of product to be produced, whether a pillow, a mattress, or even a car seat foam. Once cut and contoured, the product goes straight to packaging under strict quality control standards, ready for delivery to the customer. 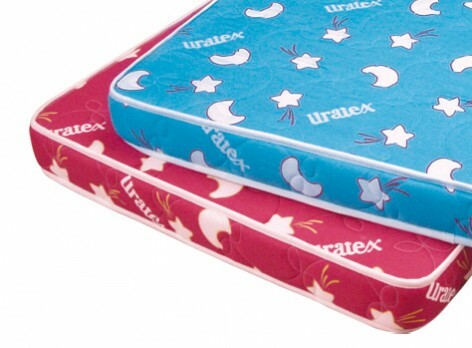 For more details about Uratex, visit www.uratex.com.ph. Hurom Slow Juicer during the Philippine International Food and Beverage Expo (PIFBEX) held at the PICC Forum 1-3 in Pasay city. It is distributed here in the Philippines by Zinven International Corp., is another of Hurom L.S. Ltd.'s innovative kitchen appliances that employ cutting-edge technology that resulted from the company's extensive research and development (R&D) efforts. Hurom ("human" and "rom" which means "beneficial" in Korean) L.S. Ltd. which was formed more than a decade ago, commits itself to the research, development and well-being of human life through its "juicers" and "juice extractors". And this commitment through its juicer product like the new "Hurom Slow Juicer" that has already reached other parts of the world like Japan, China, the USA and in other countries in Asia and Europe, is finally here in the Philippines. Part of the "Hurom Slow Juicer's" unique and distinct characteristics is that it uses its patented "Low Speed Technology System" or LSTS. Compared to other traditional juicers that has high-speed motors and sharp cutting blades, the "Hurom Slow Juicer" and LSTS gently presses (not crushes) the fruit to extract all the fruit's or vegetable's natural juices without losing valuable nutritive value like vitamins, minerals and important enzymes and most of all, its taste. 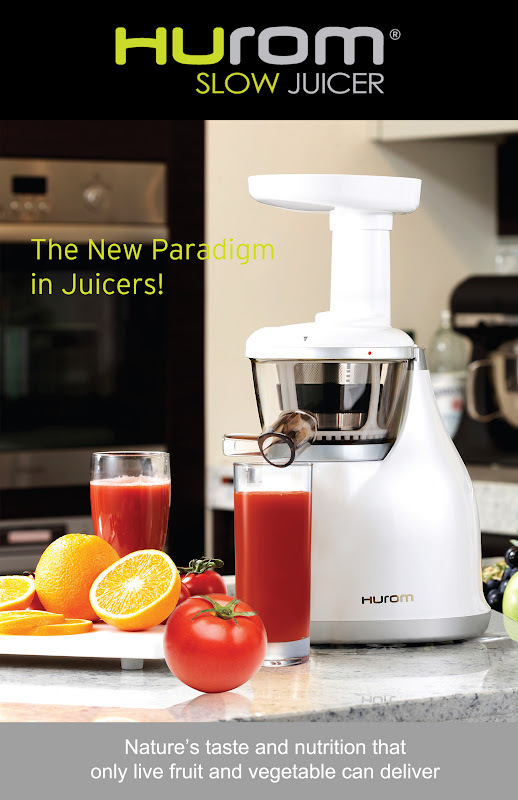 Hurom Slow Juicer is available at Rustan's Department Store and Home TV Shopping. For more details , visit: www.hurom-slowjuicer.com or call 9267782/ 9267786.